The ability to conduct your online activity privately is important to many individuals for a variety of reasons. You might just want to be able to navigate around the web without the intrusive eyes of your ISP following your every move. Maybe you like to download anime from torrents and need to remain anonymous while visiting these sites. Without the use of a VPN, there is little chance that some entity is not tracking your online movements. NordVPN is one of the most trusted and respected products available in the crowded field of VPN applications. We are going to take a look at how Nord VPN can give you the privacy and security that you need when using the Internet. While using NordVPN, your IP will be hidden for true online anonymity. You are protected from DNS leaks and can take advantage of the kill switch option to immediacy halt online activity if the VPN connection is dropped for any reason. Added protection when accessing the dark web can be obtained by routing your traffic through a Nord VPN server and then the Onion Router. With a single NordVPN account, you can protect up to six different devices. Simply download the tool for whichever platform you are using and enter your account details. The application runs on Mac, Windows, iOS, and Android devices as well as other less popular operating systems and routers. Enjoy privacy and security on all of your devices with NordVPN. The security of your online data is equally important as the ability to surf anonymously, and NordVPN provides military-grade 256-bit AES encryption to ensure your information remains confidential. An option allows you to take the step of double encrypting your data by sending it through two VPN servers before reaching its destination. This double protection will lower your connection speed but may be worth it for certain scenarios. NordVPN is headquartered in Panama which has no data retention policies and does not save logs of your online activity. They are empowered by their location to deny any third-party requests for your information. A network of over 5,000 VPN servers means you can always find a connection. You can choose from the Quick Connect option which locates a server that is relatively close to your current location or opt to connect through servers installed in specific countries. Transmission speed may be affected by the distance to the VPN server that you select. Netflix is known for cracking down on VPN servers, but with NordVPN you can bypass the geo-restrictions that can make it hard to access the site. Special P2P servers are set up that are designed specifically for torrenting. To test NordVPN, I used the Ookla service while connected to WiFi. That is the best way to test NordVPN speed. 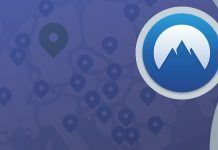 NordVPN can be obtained from the official website: www.nordvpn.com or from the Apple App Store and Google Play. Some of the features may be absent from versions not downloaded directly from the NordVPN site. For full malware protection and add blocking, download the package from NordVPN’s own webpage. 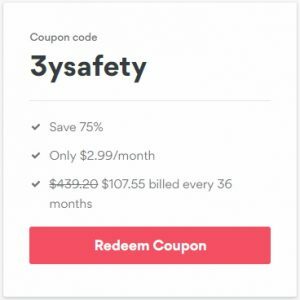 Of course, there are cracks and serial codes available on various sites that claim to enable you to use a fully licensed version of the software for free. We strongly discourage this practice as it is illegal and often leads to a malware infection of your computer. If you are looking for a high-quality VPN to protect your privacy, NordVPN is a great choice.